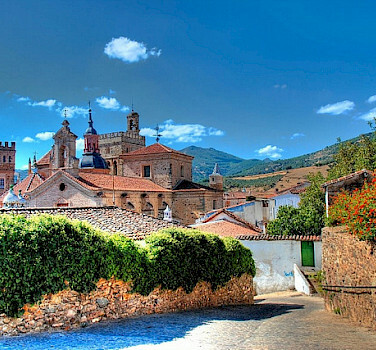 This Spain bike tour will take you through the Extremadura, a region of contrast. 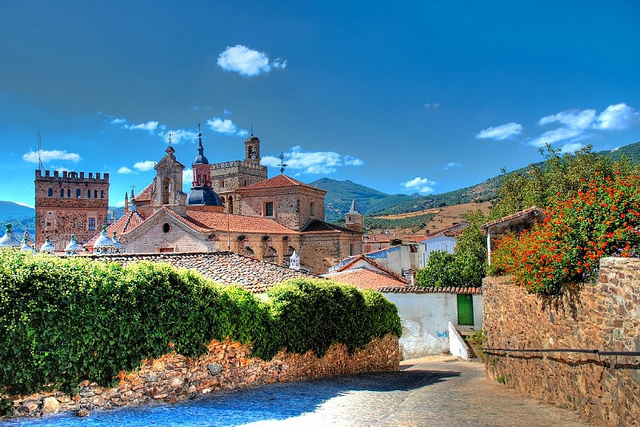 It is one of the few places in Spain that remains relatively undiscovered by mass tourism and thus possesses an authentic atmosphere. Romans, Barbarians, Muslims, and Christians have all left footprints in the cultural, architectural, and historical landscape of the land. Starting in Oropesa, you will bike through typical Spanish towns including Jarandilla de la Vera and Plasencia. 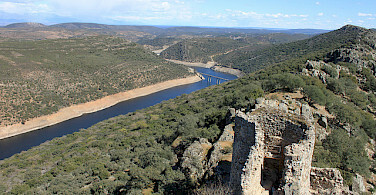 One of the many highlights of this tour is the National Park of Monfrague; whose massive cliffs are home to a huge variety of birds, such as the Black Vulture, Egyptian Vulture, Imperial Eagle, Booted Eagle, Black Stork, Blue Rockthrush, Rock Bunting, Peregrine and more! 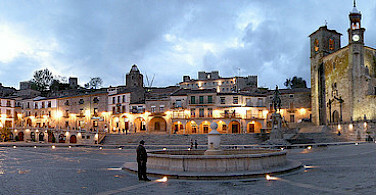 Trujillo, known as the home of the most famous Conquistadors, is one of the area’s most important historic and cultural towns. 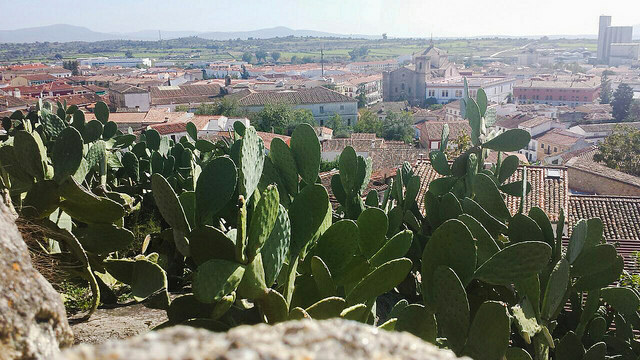 Perched on a hilltop, the walled city overlooks the surrounding serene countryside. 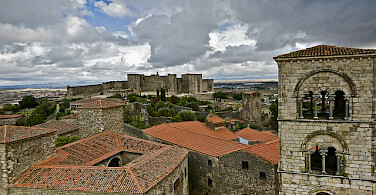 The tour will end in the UNESCO World Heritage city of Caceres, a medieval city with an incredible past. 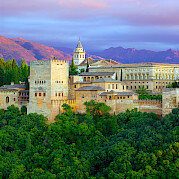 Each night, you will rest and relax in luxurious Parador hotels, federally sponsored accommodations in castles, palaces, convents, monasteries, fortresses and other historic buildings. The hotels are renowned for their high standard of service. 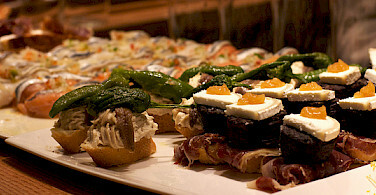 If you are looking for more, check out all of our bicycle tours in Spain. 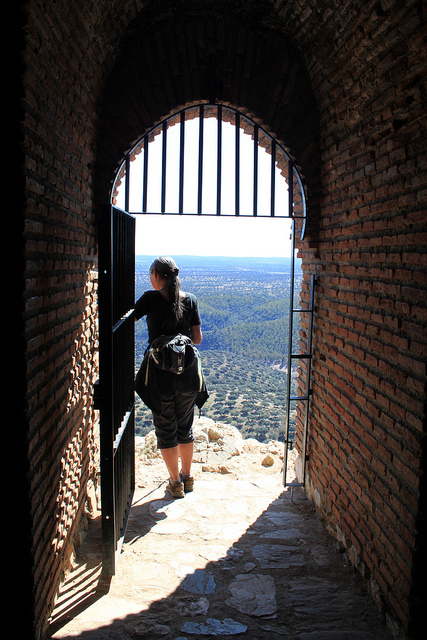 The best way to get to Oropesa de Toledo is by train. There are around five trains per day, usually distributed throughout the day. The journey is under 2 hours. You can check and buy the ticket at: www.renfe.com (unfortunately this website is not very user friendly and tickets and timetables are not available online until two to three weeks before the date) or on the phone number: 902 320 320. We recommend you buy a return ticket to Madrid at the same time you get the train ticket from Madrid to Oropesa. This will avoid spending time on the last day going to the station to buy the ticket. The first accommodation is 2 km from train station so a taxi is recommended. Or alternately, you can phone the first accommodation for transfer. Please check local conditions before your arrival. A good website to research average high/low temperature, average rainfall, and other weather facts is weatherbase.com. In 4 star luxury hotels with exquisite service located in National Heritage properties: unique, historic buildings such as restored palaces, monasteries, or castles. This self guide tour is rated moderate to difficult with daily distance of 57 km and average meters to climb is 459 m. The terrain is rolling with at least four ascents each day. Upon arrival in Oropesa, check in and enjoy your accommodations. 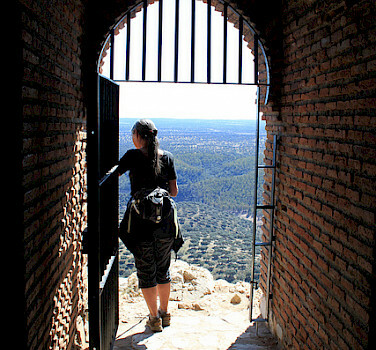 You will overnight in a 15th Century palace and castle, rich with history and incredible views of the Sierra de Gredos. The historic value of the “Torre del Homenaje”, a tower attached to the Parador, the columns of the courtyard, and the pool with outstanding views over the plains of Campo Arañuelo, make your first evening a truly memorable experience. Your cycling adventure begins! Rental bikes will be delivered in the morning and adjusted to your preferences. Through typical Mediterranean woodlands, the route leads to the foothills of the Gredos Mountains, whose granite cliffs are a perfect backdrop for the day's route providing stunning views. Jarandilla de la Vera, final destination of the day, showcases architectural wonders such as the churches of San Agustin and Ntra. Senora de la Torre. Your stay tonight is in a restored castle that once hosted Emperor Charles V for several months! 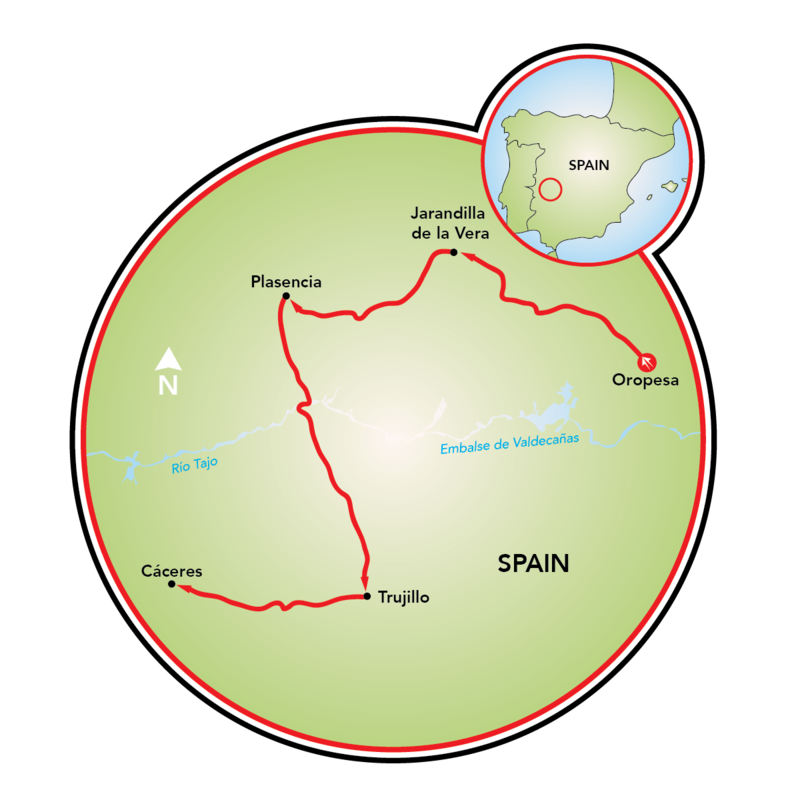 This day's cycling is through peaceful countryside to the walled market town of Plasencia. 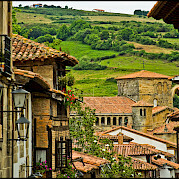 Nestled on the bank of the Jerte River, Plasencia has experienced many benefits (and downfalls) from its strategic location on the Ruta de la Plata- the Silver Route. Palaces, ancestral homes, and significant religious buildings make up the architecture of this beautiful city. 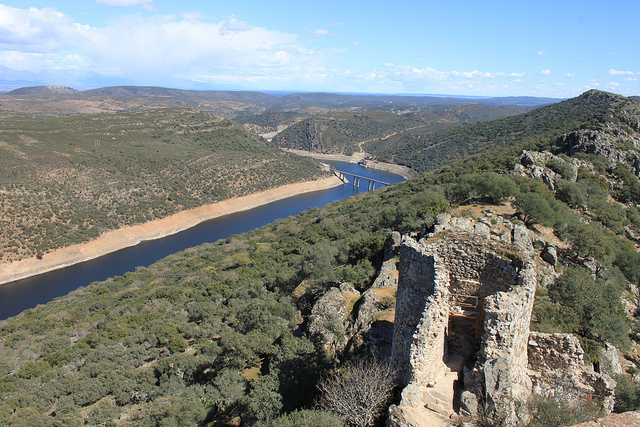 Cycling south towards the Tajo River, you will reach the National Park of Monfrague, a well-known place for all bird watching enthusiasts. The landscape here is a unique juxtaposition of farming land and cork and oak trees. 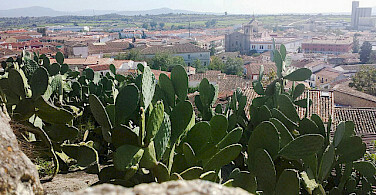 The farms in this area are dedicated to raising wild bulls and the famous black "iberico" pig. 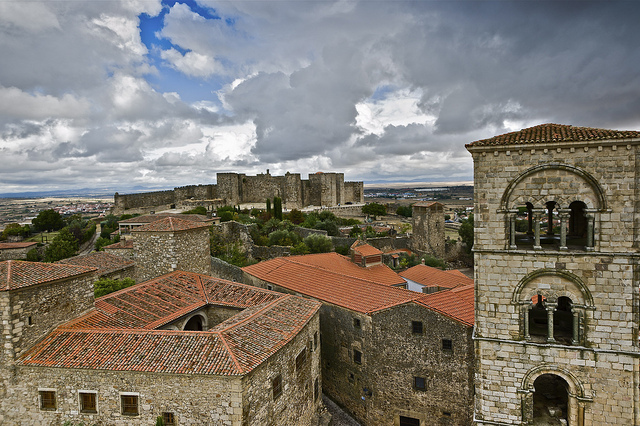 Trujillo is one of the area’s most important historic and cultural towns and is certainly one of Spain's finest gems. The walled hilltop town, which overlooks the expansive countryside, dates back to 600 BC and is famed for its strategic involvement in the discovery of the Americas. 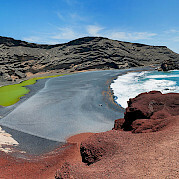 Several of Spain's most famous conquistadors such as Hernan Cortes who conquered the Aztec empire, Francisco Pizarro who conquered the Inca Empire, and Diego Parades, all called this region home. On their return from the Americas to Trujillo, these Conquistadors built magnificent residences to celebrate their newfound wealth. The legacy of the conquest can be seen in much of Trujillo’s perfectly preserved architecture and the impressive bronze statue of Francisco Pizzaro mounted on his horse, which dominates the town’s main square. The scenery of the last bike ride is a beautiful mix of small villages and stunning landscapes. 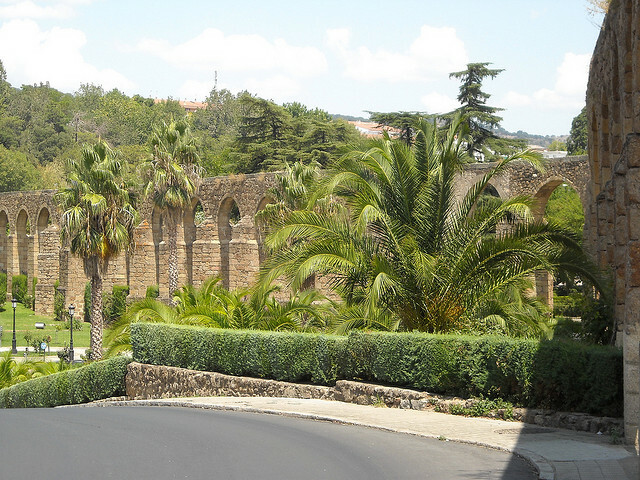 Reaching the monumental city of Caceres, you will be transported back in time as the architecture reflects a blend of Roman, Islamic, Northern Gothic and Italian Renaissance influences. Be sure to explore the narrow cobbled streets as they twist and climb among ancient stonewalls lined with palaces and mansions! 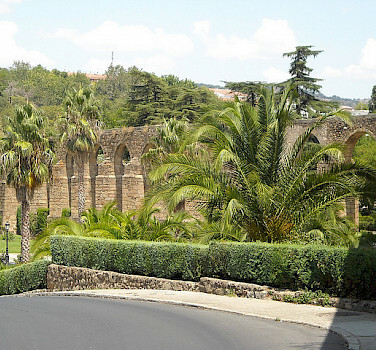 Departure from Caceres, you can extend your journey or take a train back to Madrid. Looking for a different cycling experience? View all our featured bicycle tours, specials, and news or look at our full list of bike tours in Europe. This tour is run by Senderos y Pueblos. We would be happy to take longer detours to avoid main roads.